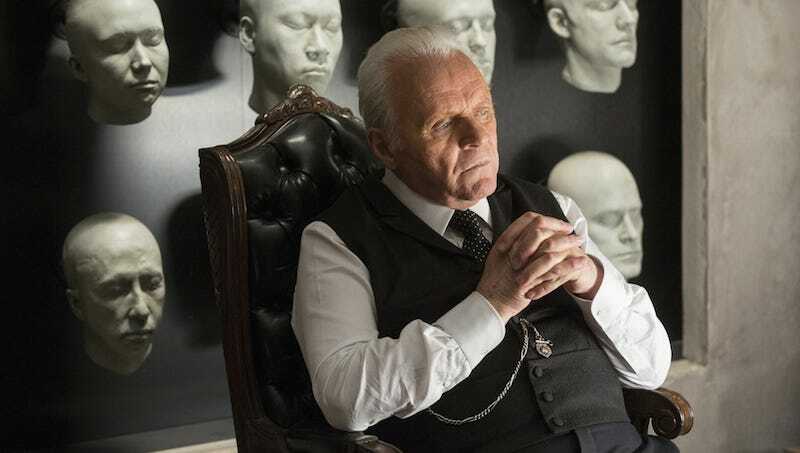 In episode three of Westworld, Robert Ford (Anthony Hopkins) describes the theory of the mind that his co-founder, Arnold, used to try to create consciousness in the hosts. It’s called the bicameral mind, and for those of us who don’t want to read a nearly 500-page book from 1976 in order to learn more about a TV show that’s still in process, Jonathan Holmes has explored the connections between the two in a seven and a half minute video. I would recommend watching this, not only because it’s very convincingly argued and easy to comprehend—unlike virtually anything associated with Westworld—but because the final episode of this season also happens to be titled “The Bicameral Mind.” So an understanding about how Julian Jaynes described the breakdown of the bicameral mind into self-awareness and modern consciousness might help guide our understanding of where Westworld’s hosts are heading.